This year, user-favorites like Fantastical 2 and Infinity Blade are getting steep price cuts to ring in the holidays, while newcomers look to take advantage of the shopping season to grow their respective consumer bases. Either way, now is the time to pull the trigger on that iOS or Mac app you've been eyeing. 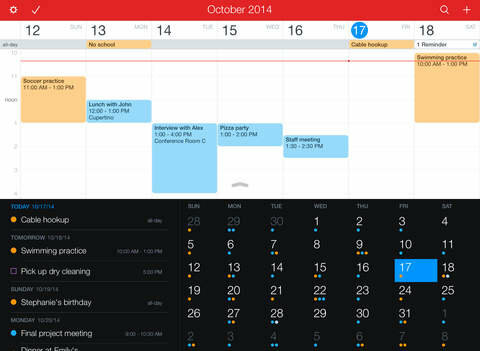 This year's follow-up to Flexbits' well-received calendaring app Fantastical 2 features a clean-looking interface, advanced reminders and powerful parsing tools that allow users to create events and alerts using natural language input. An update earlier in November brought extensibility support (Today view widget) for iOS 8. For the holidays, Fantastical 2 for iPhone is priced at $1.99, a savings of 60 percent, while Fantastical 2 for iPad gets a deeper 65 percent discount at $4.99. 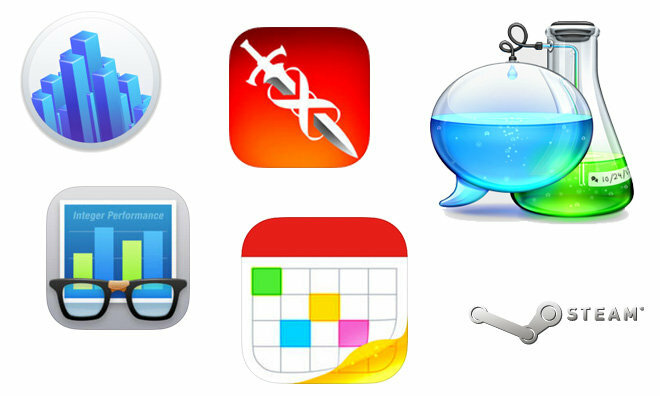 Completing the set is Fantastical for Mac for $9.99, half-off retail. Fellow Flexbits app Chatology is a unique tool that conducts filtered searches on iMessage, AOL Instant Messenger, Facebook, Google Talk, Jabber and Yahoo chats. Aside from the usual time-based filters, Chatology also sifts through images and links for easy . Chatology is a Mac-only title and available for 50 percent off at $9.99. Chair Entertainment and Epic are bundling its massively popular Infinity Blade iOS gaming franchise into a three-pack download for both iPhone and iPad. The universal apps include all three major Infinity Blade installments so users can see exactly how the amazing graphics and responsive gameplay evolved since the original launched in 2011. 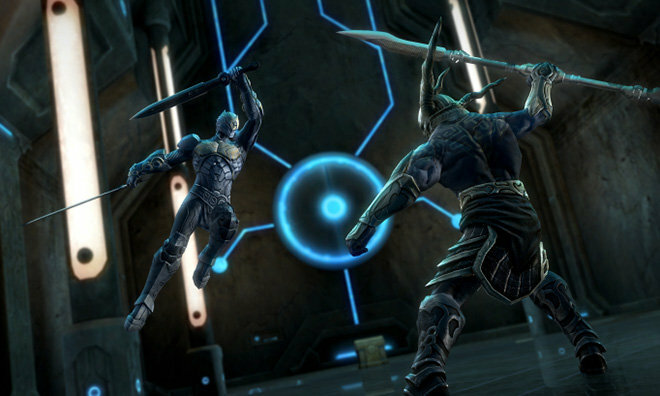 The Infinity Blade bundle is available from the iOS App Store for $9.99, a 50 percent savings. The latest version of benchmarking tool Geekbench 3 from Primate Labs has gone free for a limited time, down from a normal price of $0.99. 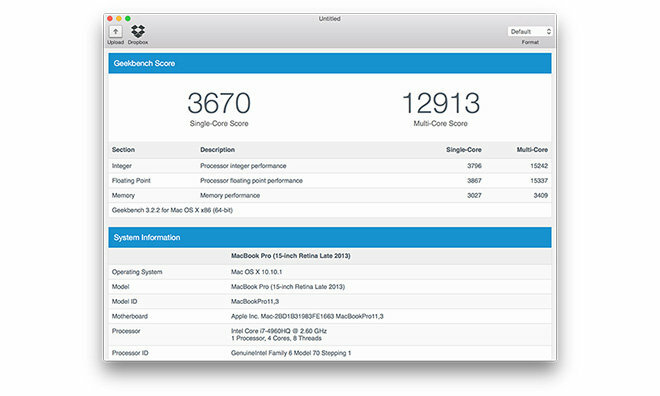 With its advanced hardware testing suite and massive database of device assessments, AppleInsider often uses Geekbench in its product reviews. 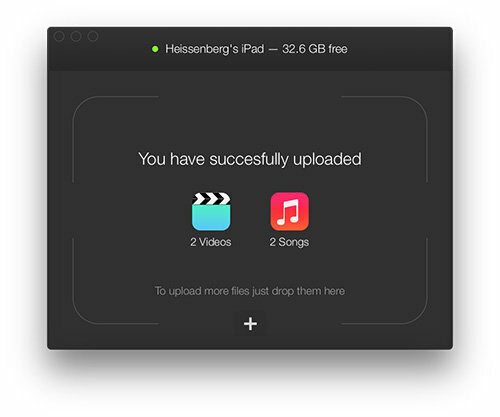 WALTR for Mac is an easy-to-use media importer that takes a plethora of file formats normally unsupported by iOS, translates them and uploads the results to an iOS device for playback in Music or Movies. Supported formats include CUE, FLAC, APE, ALAC, OGG, AAC, AIFF, MP3, MP4, AVI, WMA, M4R, M4V, M4A, MKV, WAV and more. The app is on sale for $20.07, down from $29.95, and new users can download a free trial from the company's website. WALTR's development team at Softorino was recently in the news for reporting that Apple's A8 system-on-chip is powerful enough to output 4K video, a capability discovered during testing of the app. Steam's annual Exploration Sale brings big discounts to a variety of top-shelf games through the Steam Store. This year, Steam is offering 75 percent off Garry's Mod, Left 4 Dead 2, Europa Universalis IV, Batman: Arkham Origins, Dark Souls: Prepare to Die Edition and State of Decay. Assassin's Creed IV Black Flag, Next Car Game: Wreckfest and Endless Legend are also available at half price. A well-known name in the filmmaking industry, Red Giant specializes in graphics and editing software like the Trapcode suite and PluralEyes. For its year-end sale, the company is offering 40 percent off everything in its online storefront, including app suites, licenses, upgrades and more. The one-day-only sale starts on Dec. 9 at 8 a.m. Pacific and ends Dec. 10 at 8 a.m. Pacific. Red Giant is also extending the 40 percent off savings to academic pricing.